Brain Vs. Book – Page 47 – What will emerge the victor? 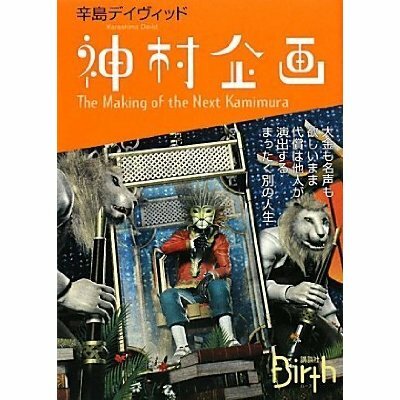 The second narrative in 1Q84 by Murakami got me thinking about Kamimura Kikaku: The Making of the Next Kamimura by David Karashima. I admit to having some bias about this book since David himself put the book in my hands, after reading the first part of my own novel and telling me that I had real talent. These kinds of things tend to cloud a person’s judgement. But still, I think I am not wandering away in everything’s great town. I did like the book– the story is pretty amazing and it develops plausibly and naturally. And there’s a freshness to the way Karashima uses words. I love his speeches, the way characters actually talk to each other. Maybe because he is bilingual, there is an underlying sense of sarcasm in a lot of the things his characters say that you don’t usually see in Japanese writing. (Or maybe I just don’t get that in Japanese writing?) And his sentence structure loves me the way Murakami’s does. I whizzed through this book. Before my brain dissects the book, can it remind you that things are pretty terrible in northern Japan right now? Maybe you heard about that? People in evacuation centres are actually freezing to death in places because desperately needed aid just isn’t making it to them, thanks to the near-total collapse of infrastructure. And as freelance interpreter Hiroko Nakamura has pointed out repeatedly, if the media insists on going up there to report on events/fan hysterical flames, the least they could do is bring a few cases of water and some much-needed supplies for the people they are turning their cameras on. So you know, if you have some time or money or both, here are some ways you can help. And now let’s think about comics! Because my brain needs to not be sad for at least five minutes a day. 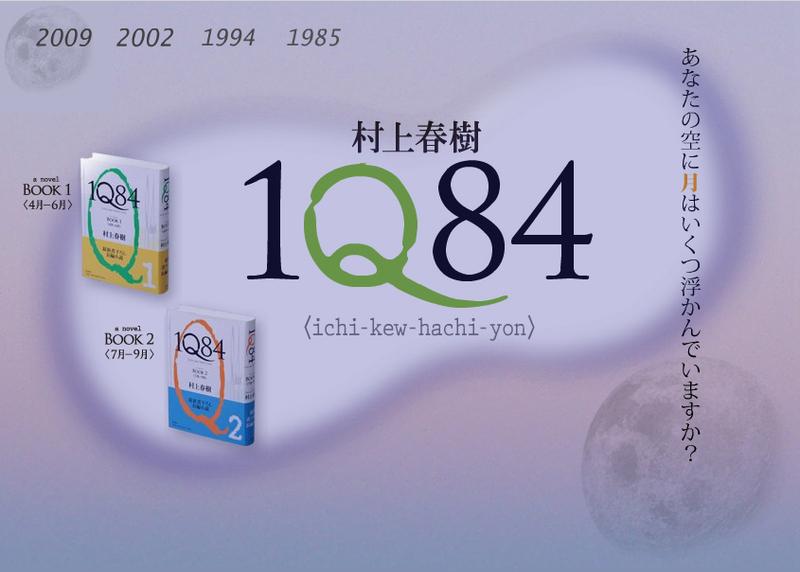 And because it also needs a break from the verbosity of 1Q84. Let me distract you from the terrible news that just keeps coming out of Japan with the Murakami death slog! Three hundred pages! Well, it’s actually three hundred and twenty-one. I haven’t had time to write since I reached three hundred, but I’ve kept reading, so here we are. And what are my impressions at this critical milestone? Did you guess “needs editing”? Because really, there is nothing else to guess. Yes, again, I found myself frustrated with the unending wordiness of the whole adventure. I am so tired of descriptions of people’s clothing in such minute detail. And I found myself getting angry at some points. 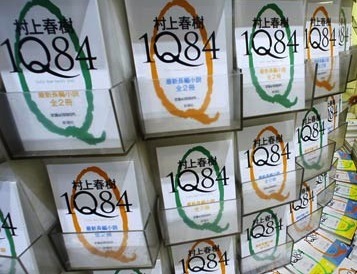 It’s starting to feel like Murakami doesn’t trust his readers. Like he doesn’t believe we are intelligent or capable enough to fill in the blanks and create the fictive world he wants us to. He is constantly reminding the reader of things. My brain will be writing about books soon enough, but at the moment, it is stricken with panic and sadness at the action in Japan. So while you are waiting to find out what my brain thinks of the printed page, perhaps you could think about offering a hand to the people on the ground? Friends are saying that they are still plagued with aftershocks in Tokyo, so I can’t even imagine what it’s like in Tohoku (the epicentre of this disaster). And if you’ve seen the extremely distressing videos of the tsunami, then you know that help is going to be seriously needed to clean up and get those people back on their feet. So you know, if you’ve got a few bucks, the Red Cross is already mobilizing. As expected, I could not resist the temptation of comics on my shelf waiting to be read. 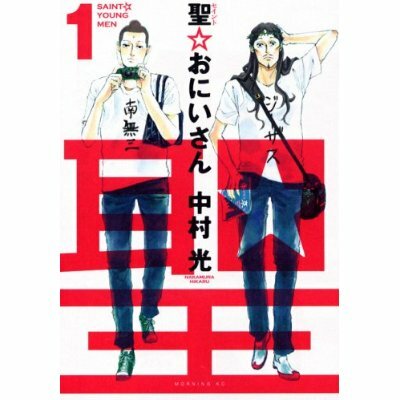 I’m still working on the Murakami, but I took a bit of a breather to read est em’s Kono Tabi wa. 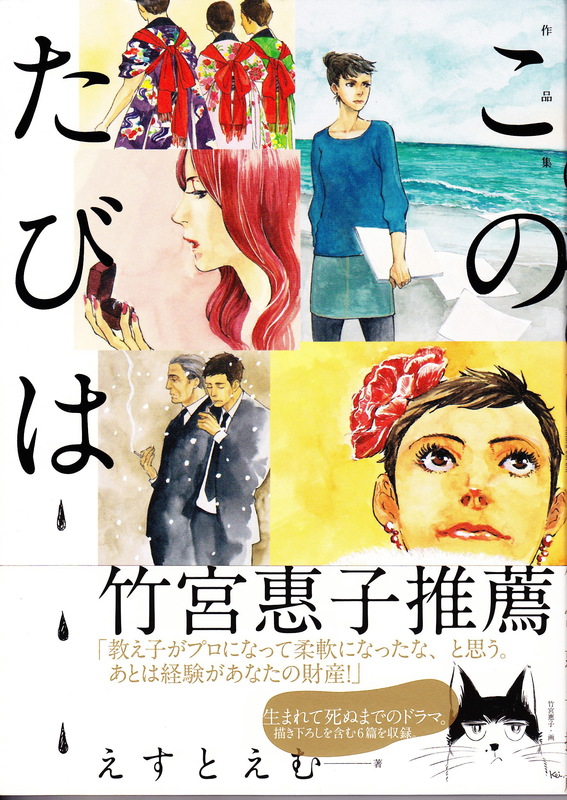 The title is a bit of word play with “kono tabi” meaning both “this trip” and “this occasion” or “this time”. I’m assuming it’s intentional since the title story in particular seems to play on the idea of the journey and a time in life. And the title is written in hiragana rather than kanji, which would limit the meaning to just one. Another translation problem for me to play around with in my head that is probably not as interesting for you as it is for me. So! In a lot of ways, I’m basically where I was a hundred pages ago. I still wish an editor had gone through and tightened this beast up. My eyes start rolling now every time a brand name or extensive clothing description appears on the page before me. It’s just so unnecessary. I’m still not in love with the alternating chapters. Nothing is bringing them together yet, and nothing will in this book judging by the table of contents for Book 1, which lists alternating Tengos and Aomames right until the end. So I will stop talking about how irritated it makes me and wait for when the two stories connect up to discuss it again. 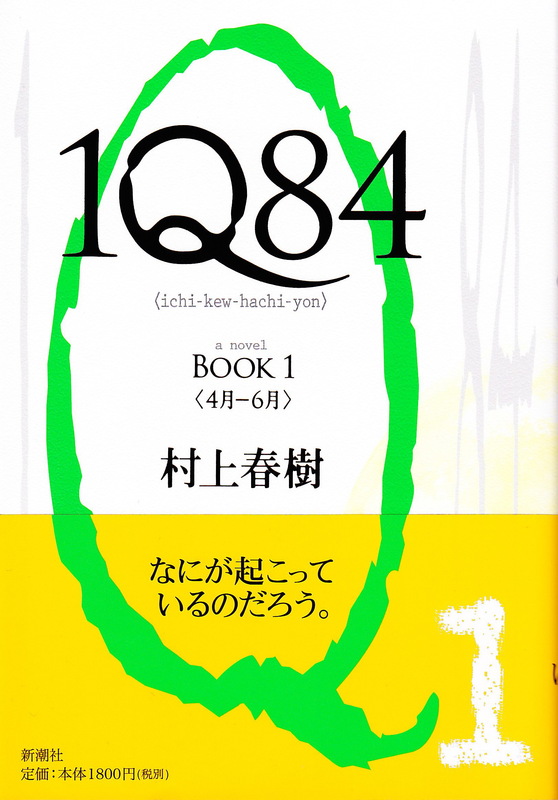 Haruki Murakami’s new book is actually three books (which anyone waiting for the English translation already knows), for a total of about 1600 pages of dense Japanese. These tomes have been intimidating me from my shelf of unread books since I got the third one a few months ago, until I finally worked up the nerve to crack the first one open last week. I figure that I’ll have forgotten most of my impressions of the beginning by the time I get to the end (I read slower in Japanese than in English, so this could take a while), so I thought I’d break it up into hundred-page chunks. Think of it as the slowest live-blogging event ever.